The right moment to start a language is right now! How can we start learning a language when we don’t have time to do anything? Studies, work, familly, responsabilites, etc. We say that we’ll start during vacation, or when we’ll graduate, when the kids are older. But then comes something else, new responsabilities and we never find time enough. The right moment is when we need it or when we feel like learning it. Conditions will never be better. If we wait, we’ll do something else and we’ll never start. We can find time right now. We don’t need hours every day. We can start getting used the language listening to some music, podcasts, audio lessons. The Assimil method is very good and it’s ideal for people who don’t have much free time. We can listen to the language while we are driving or will we take the bus, while we are running, cooking or washing the dishes. I like to listen to my mp3 at night when I go to bed before I get asleep. It even helps me relax because I focus on what I’m listening, trying to understand, and I forget everything else. It’s better than meditation for me! Of course it won’t be enough to become fluent. But you’ll get used to the sonorities and you’ll notice some frequent sounds, endings and words and that will arouse your interest. As soon as we have the oportunity we will want to learn more, to understand. If we like it we will necessarily find time. We always find time to check our mail or facebook. So we could use that time to practice a little bit. 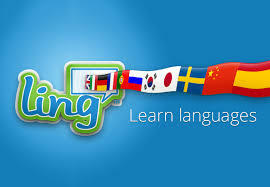 We can start following pages or channels about the language we’re learning. If we have an intermediate level it’s time to use the language as a tool to communicate and get to knowledge. Instead of reading articles, to watch documentaries or to see the news in our mother tongue, we could do it in another language. If we like gardening, sciences or sports, we’ll learn more about tehse topics and at the same time we’ll practice the language. Maybe we’ll go slower at the beginning but we’ll progress a lot because we already now the topic.